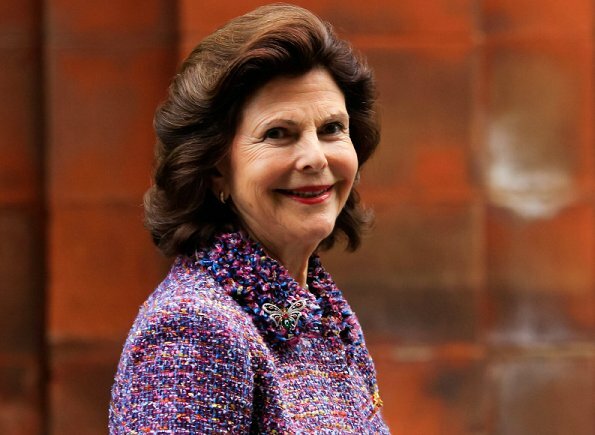 Queen Silvia of Sweden delivered 'The Queen Silvia Nursing Award' with a ceremony held at Swedish Embassy on March 1, 2017 in Warsaw, Poland. 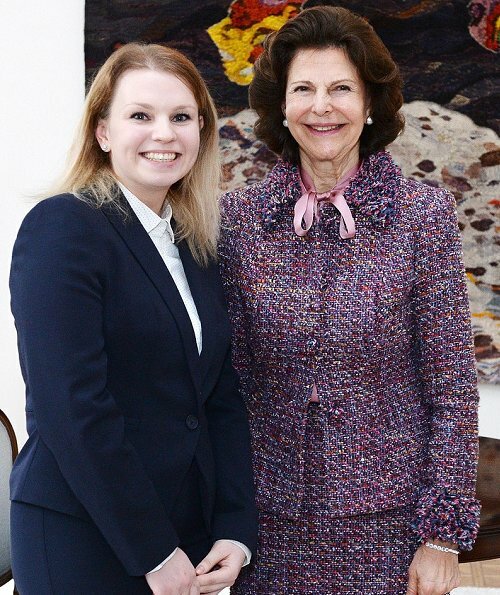 During the ceremony, Polish nursing student Natalia Duszenska became a laureate of the Queen Silvia nursing award. The Queen also visited the Jozefina Care Home in Jozefow, Warsaw. I like the second and third photos where the queen's hair looks a bit mussed and maybe wind blown. She would look so much more attractive (and younger) without the very sedate hairstyle. And she does seem to always wear basically the same suit. Beautiful suit and very becoming colours for the Queen. I actually think her hair looks very nice. She is 73 and I don't think she needs to strive to look 20-30 years younger. She sure looks better than most women that age. I agree, these purple-lilac-pink shades are really becoming for her. Also, this is a good design for tweed (or tweedlike) materials - simplicity is the key, no need to stuff such a texture with flower appliques and muslin frills as we've seen on Letizia's dress a day or two ago. It is me, or does the Queen's hair look a little bit lighter? As though Her Majesty has had some soft highlights added? Whatever she has done, her hair looks softer. Very nice.